We first encountered this peculiar disfigurement of the skull in one of the first specimens we removed from Merrylin's collection way back in 2007, L’enfant diabolique, the extension of the frontal bone to form two large cranial protrusions. 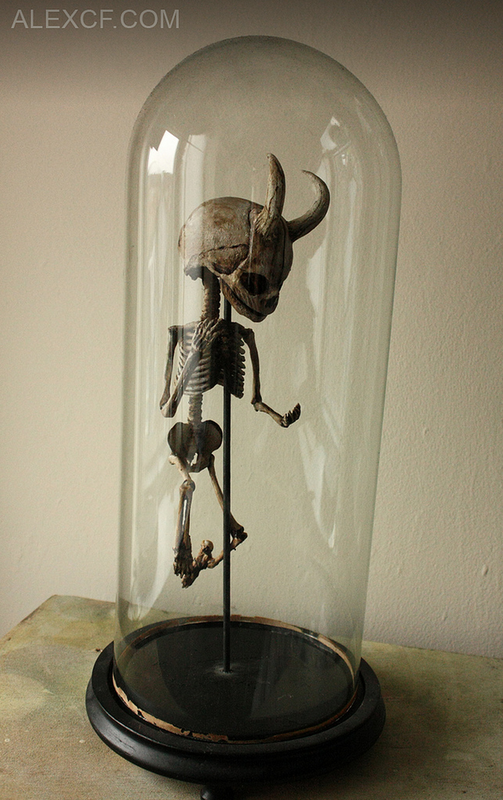 According to Merrylin's diary, this was actually the result of abuse of various narcotics to aid conception of a child. Common in various occult practices in the 18th and 19th century, ingestion of the Nocturna Orobora plant can trigger a state of high fertility, yet can cause various side effects, one of the most common is cellular mutation. 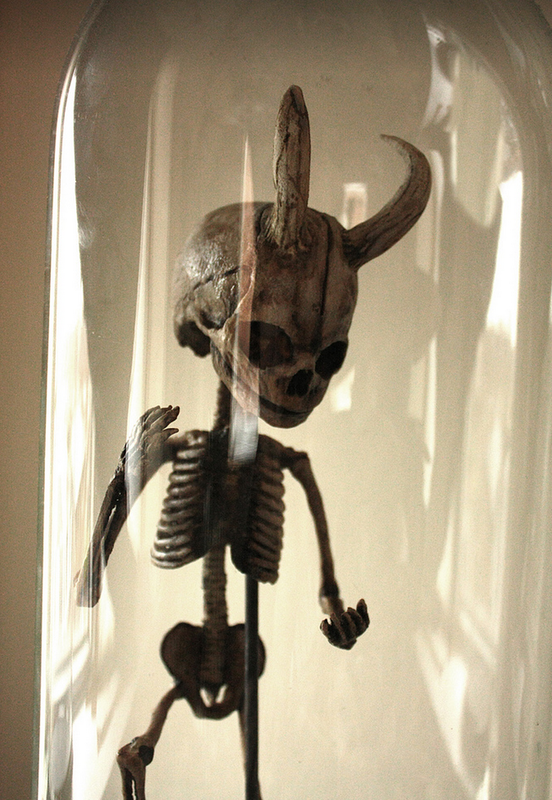 This perfectly preserved infant skeleton has an impressive set of horns, and is presented in a fine victorian specimen dome.